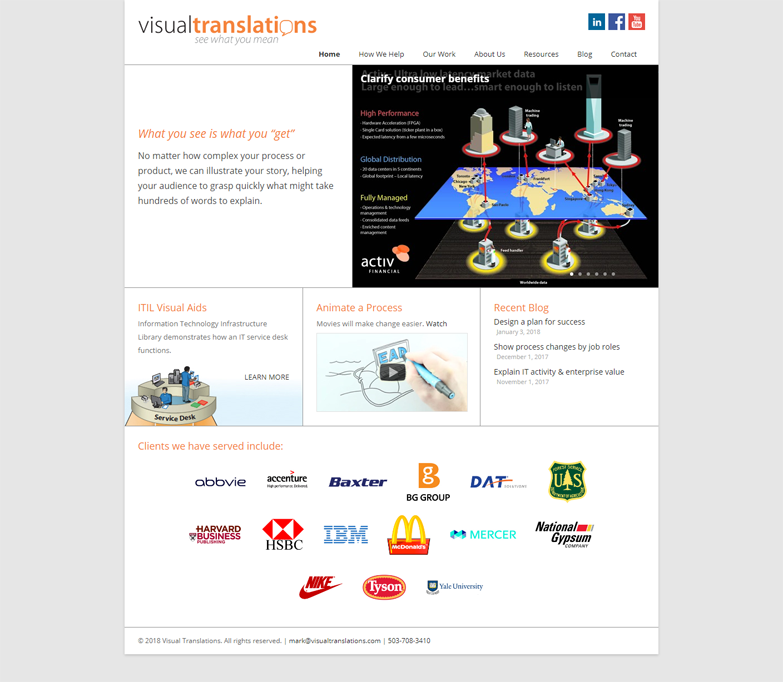 The challenge for Visual Translations was to convey a lot of information about what they do without overwhelming visitors to their website. Their old website had a lot of content on it, which I worked with them to re-organize, cutting material where necessary. 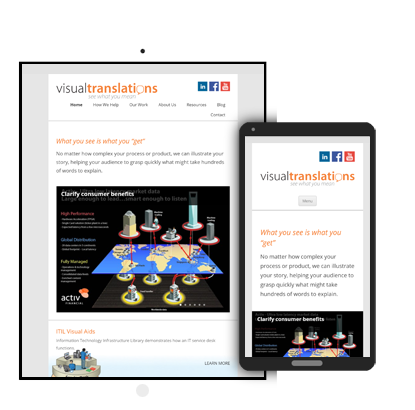 We settled on a simple, unobtrusive design that would allow their infographics to be the website’s focus.